The original X-Man. Gotta get that jersey he’s wearing. Weishaar Winner 100 mi. race, Norton, Kan. Oct. 22, 14. Time 2 hr. 1 1/2 min. World record. 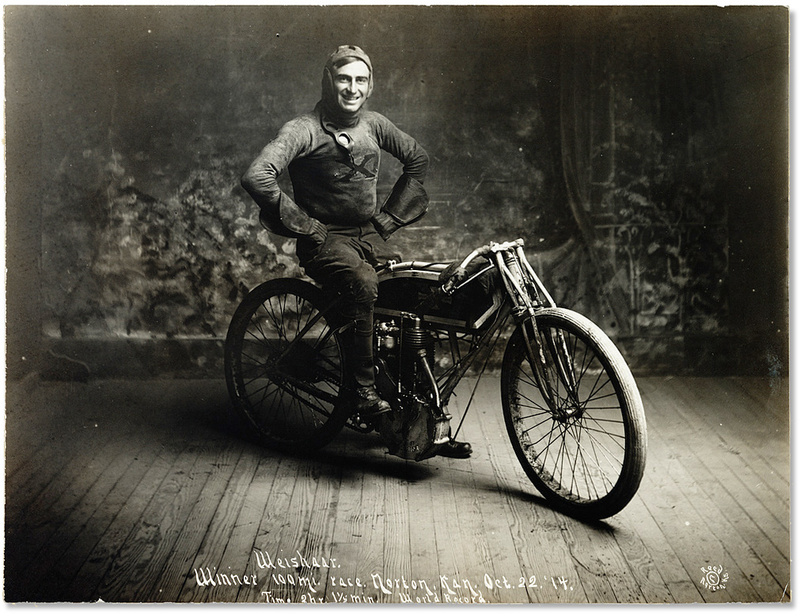 Photograph shows portrait of racing champion Ray Weishaar on motorcycle.